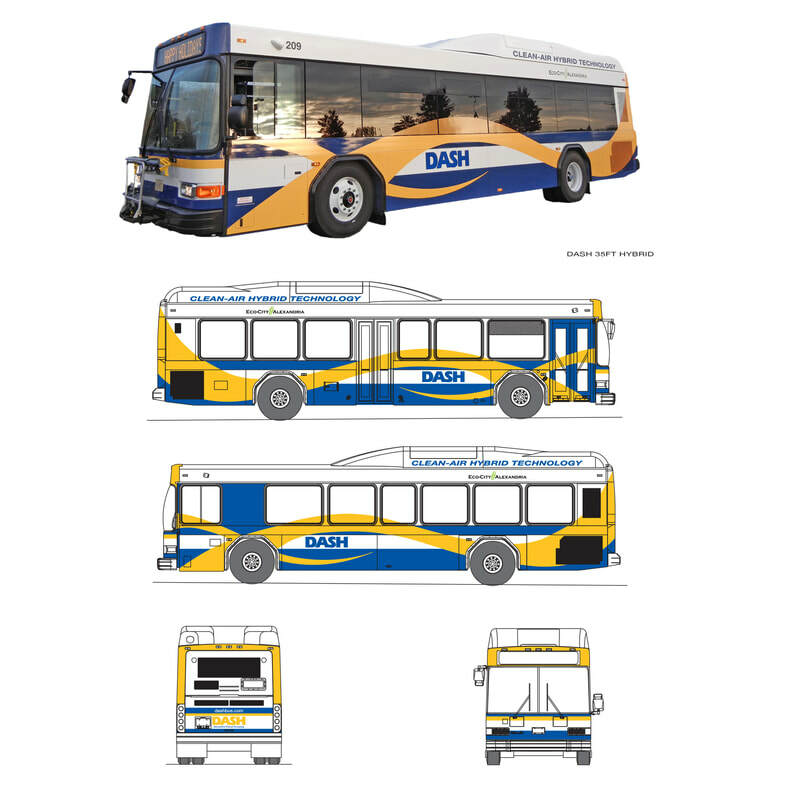 Mechanical scaled drawings of DASH Hybrid bus, complete, painted bus shown in photo. 48 page, full color brochure showing entire DASH route system and timetables. Also includes details about purchasing passes and general information.